There are two kinds of actions that can come from Google — an automatic “action” in which the algorithm makes a decision on how a page should rank, and an action that’s applied manually. With a manual action, a human being at Google has come across a page and decided it needs to be addressed. 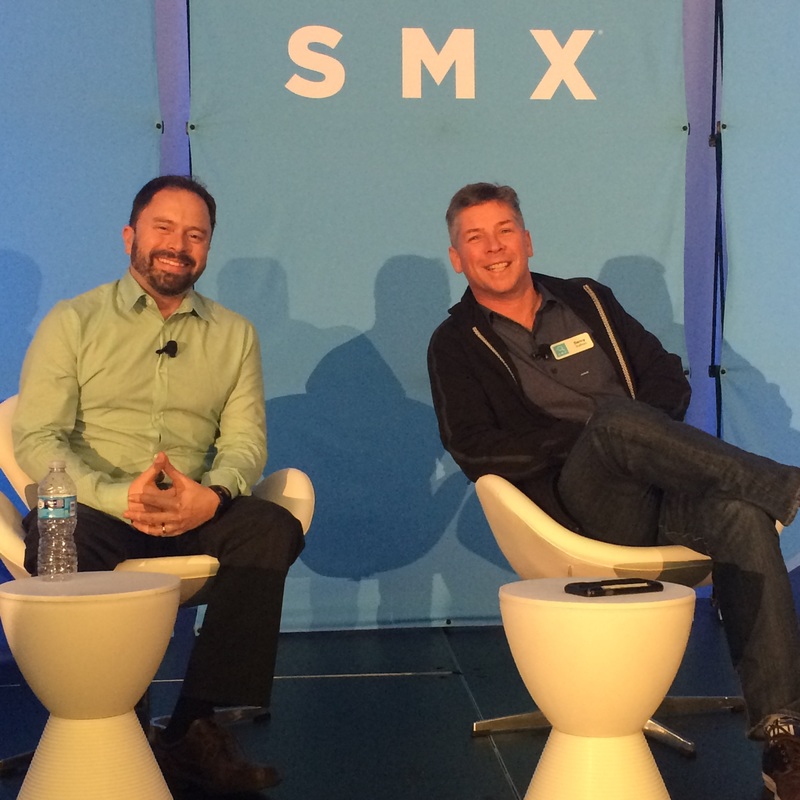 Juan Felipe Rincon from Google’s manual actions team answers the SMX West 2016 audience’s burning questions on manual actions in a live talk with Marketing Land and Search Engine Land Editor Danny Sullivan. Google’s Juan Felipe Rincon (left) fields questions on manual actions from Search Engine Land Editor Danny Sullivan. Danny Sullivan: What type of things do you do when someone is hit with a manual action? You can do many things from dropping ranking, taking down a page, etc. Juan Felipe Rincon: There are two things that can happen at either a page or site level. The page can be demoted — its ranking is adjusted. Or a page can stop being indexed, which can also happen at the site level. A site-level action is a lot more significant and considered a lot more carefully because it can have a huge impact on a business. DS: Are you able to impact them granularly? Like affect what keywords they rank for? JR: I don’t know to what extent the actions taken will affect a site’s ranking for a particular keyword. That’s the ranking team’s job to look at, and that’s intentional. A manual action will affect your site, though. DS: What and who generates a manual action? JR: We have teams that look at the sources of things, or at things that appear anomalous. We have a team of anti-abuse analysts — a significant, large team devoted to trust and safety, which monitors ad traffic, web spam, community guidelines on Google social platforms, etc. We cannot say how many are on that team. DS: What college courses might lead to you becoming an anti-abuse analyst? JR: Data mining, pattern recognition, intelligence, open source analysis. DS: What are the biggest types of manual actions that happen? JR: Content that wasn’t put there by the legitimate site owner and website hacks account for 45 percent of manual actions. DS: I want to hear funny stories about something crazy you’ve encountered. JR: The craziest stories come from the fact that we encounter a very broad range of companies, very, very large companies and small operations. And the impact this has on a business varies very drastically, and you notice people with small sites vs. someone with a large corporation with multiple people focusing on SEO. How do we maintain an appropriate communication with all of them? DS: Do sites affected with a manual action always just throw their SEO company under the bus? JR: That’s between the site owner and the SEO. We’re thinking about what the user is seeing. DS: Do you look at the spam reports? JR: There are 35,000 user spam reports per month. We take action on 65 percent, and 85 percent of that 65 percent are things we would consider spam. What we’ve learned from that is that our definition of spam and our users’ definition of spam differ, and that’s something that we look at. DS: Do you ever get to a point where someone has submitted too many reconsideration requests? JR: That’s not how we approach it. For some folks, when someone has gone through the cycle four or five times, they really don’t understand the reason for the action. Having discussions with those site owners can clarify the reason after someone has failed several times. We don’t often encounter people who are going through a reconsideration multiple times on purpose. DS: Do manual actions stay attached to a domain forever? JR: If you buy a domain, validate it in Search Console. If there are any manual actions that matter, you will see them there. DS: How qualified are the manual reviewers to look at what’s happening? Do they know how to dig deeper? JR: They are very qualified. They are hired for skills with deep analysis, pattern recognition and coding. And they go through rigorous training. DS: Have you hired any reformed spammers? JR: We’ve hired folks who have been in the SEO industry. I wouldn’t call them spammers, though. DS: What should we do with partial match penalties? JR: If you have a page out there that has an action of some sort, that usually means it’s doing something not particularly useful (if it’s not related to linking). Look at the set of pages and determine what utility they serve. DS: If a page on a domain is penalized, does that taint the entire site? JR: They might look at a domain differently if it has several pages with manual actions — that’s the best I can say. The closer a page is to the root, the more you need to worry. DS: How many spots can a page be deranked?